Handling huge piles of refuse at home or in the office can be arduous at times. It is even more tiresome if you do not have the required equipment. That is why you are constantly reminded to hire professional waste management specialists for any waste removal project you have. This is where Easy Go Skips comes in handy. We are a team of highly competent waste management experts committed to helping the people of SE22 East Dulwich manage their waste more effectively. 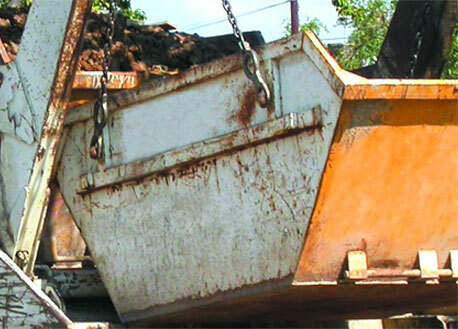 We specialize in providing high-quality skip hire services in and around SE22 east Dulwich. If you need a skip, do not hesitate to come to us. We will make sure you get the exact type of skip you require. To satisfy every client, we have come up with a broad range of skips for hire in SE22 Dulwich. This guarantees our clients a chance to find skips that match their waste management needs. We also ensure that every skip we give to you is ideal for the type of waste you want to throw away. For example, we have special skips to handle large piles of junks such as electronics and construction materials. It is also imperative to understand that we handle all kinds of junk. Whether you wish to clean your new apartment or you want to clear a new construction site, we have the right skips for you. You do not need to about our availability since we are ready to honor your call whenever you contact us. Hence, you can get in touch with us at any time or day. Our large team of waste removers is ready to work extra hours to ensure all garbage is removed from your property immediately. We also give you a realistic quote to ensure you can save a few bucks on each project.